Mazda MX-5 NA Wide Body Style Ducktail Spoiler. Designed for Mazda MX-5 NA MK1 1990-1998. 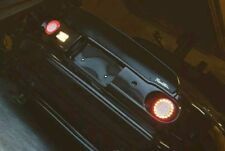 MK2 MK2.5 DUCKTAIL SPOILER. MAZDA – MIATA – EUNOS. this light weight spoiler is perfect for racing as it weighs in on average at 770grams. Manufactured here in the uk by us, made with a triple layer of the highest quality Lloyds approved structural boat building glass fibre matting and resins to insure outstanding strength and quality. MK1 - MK2 - MK2.5. MX5 HARDTOP SPOILER. Manufactured here in the uk by us, made with a triple layer of the highest quality Lloyds approved structural boat building glassfibre matting and resins to insure outstanding strength and quality. Mazda MX5 Mk1 Ducktail spoiler. this light weight spoiler is perfect for racing as it weighs in on average at 770grams. Manufactured here in the uk by us, made with a triple layer of the highest quality Lloyds approved structural boat building glassfibre matting and resins to insure outstanding strength and quality. Mazda RX-8. Las partes no estan pintadas ( no ofrecemos al pintar). Designed for Mazda MX-5 NA MK1 1990-1998. 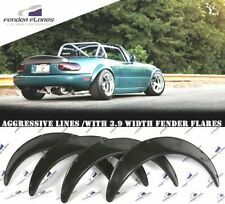 Mazda MX-5 NA Wide Body Style Front Bumper Lip. Las partes no estan pintadas ( no ofrecemos al pintar). Item: EPR RB Style Rear Spoiler. Model: Mazda RX8. Made with FRP Fibre Glass. Item needs to be Bonded & rivet on to the Boot Lid. and our experience staff will do our best to help. Replace Original Rear Spoiler. - Item Rivets on to Trunk Boot Lid. & International. General condition. Dieses Material wird auch in der Erstausrüstung verwendet und ist äußerst bruchsicher. Der Anbau des RDX Heckspoilers ist äußerst einfach und kann dank sehr guter Passgenauigkeit jederzeit selber, auch ohne Vorkenntnisse erfolgen. Mazda 323 BG ( 1989-1994. Las partes no estan pintadas ( no ofrecemos al pintar). ). Designed for Mazda MX-5 NA MK1 1990-1998. Mazda MX-5 NA Front Splitter. 1x Front Splitter (50mm offset from the Lip edge). 2x Splitter Rod (150mm adjustable length). Nuts and Bolts to fix Splitter in place. SPOILER EXTENSION/CAP/WING (GLOSS BLACK) WITH 3M TAPE. 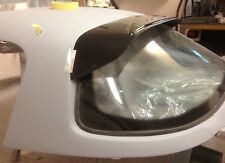 DEGREASING CLOTH SPOILER EXTENSION/CAP/WING is in black and is ready for mounting. SPOILER EXTENSION/CAP/WING looks great with the rest of the styling kit or on its own. This PU ducktail trunk spoiler has a unique design matching the Miata Mx-5 line and gives the back of your car an agressive style. Fits perfectly with one of our rear panels. We are specialized in composite parts! Gründlich reinigen (am besten Bremsreiniger/Silikonentferner). ORIGINAL EZ-LIP Classic Spoilerlippe. Kleber ist restlos entfernbar. 1x Original EZ Lippe. 1x Original EZ Lip Aufkleber. originalen 3M Klebefolie. Fits all Mazda MX5 Mk1 models, 1989>1998. The smaller spoiler is too, well, small. The larger "whale tail" spoiler is too big and looks out of place on anything but a 747! Mk1 1989>1998. This spoiler creates a more aggressive look without looking out of place and will totally transform your ride. Mazda RX-7 Voltex Style Diffuser. Fiberglass Main Diffuser (2pcs). Diffuser Side Extensions are optional extras, you can find them here Fiberglass Pre-drilled center fins. Made of finest quality fiberglass materials. To fit MX-5 mk1 and mk2 hardtop ! Mazda MX-5 OEM Style Roof Spoiler. Grams StylingPro Series is a premium Carbon Fiber part production line. All the products are made of finest quality Carbon Fiber materials using Epoxy resin infusion techniques to ensure the maximum lightness and strength of every part we make. MADE OF – PU Plastic. Roof spoilers mostly don’t require any drilling – fitting with trusted bonding agent, like SIKAFLEX or TIGERSEAL will do the job. Kleber ist restlos entfernbar. ORIGINAL EZ-LIP Classic Spoilerlippe. 1x Original EZ Lippe. 1x Original EZ Lip Aufkleber. originalen 3M Klebefolie. Hochdruckreiniger geeignet. 1x Rechnung. Premium Qualität. 80mm Wider at Front & 100mm Wider at Rear. & International. General condition. Fits all Mk2 & 2.5 MX5 models, 1998>2005. Unpainted Rear Boot Spoiler. Mk1 1989>1998. Mk2/2.5 1998>2005. We source our products from all over the world to bring you the best in MX-5 parts and accessories. "Received in Good Condition". if available. Will be more than happy to help. 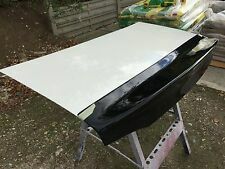 We have for sale RB Style Rear Spoiler for Mx5 MK1. Parts are new,and perfect fit. 05-200 Wołomin. Abmax Adam Litwiniak. - Embalado en cajas especiales, duraderas. - Resistente al clima y temperaturas extremas. - Hecho de GFK (fibra de vidrio). Todas las partes están prepintadas, listas para pintar. AEROKIT SPEC R1 UNIVERSAL FRONT BUMPER SPLITTER. Item: FRONT BUMPER SPLITTER. The Aerokit Bodykit fitting challenge @ Drift Allstars Wembley 2011 - YouTube. See an Aerokit bodykit bumper being manufactured. Livré non peint et avec tout le matériel nécessaire. Mazda RX-8 Fiberglass GT wing spoiler v5. Mazda RX-8 Fiberglass Grams GT Wing Performance Spoiler. Adjustable Angle Spoiler Blade Brackets. Spoiler Legs (200, 250, 300, 350mm height options available). 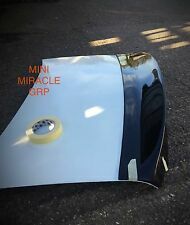 DUCKTAIL MAZDA MX5 MK1 NA MIATA REAR TRUNK LIP SPOILER KG WORKS REPLICA. Código de Color Stormy Blue Mica (35J). Surface Finish OEM Factory Painted Stormy Blue Mica (35J). NUEVAS originales OEM MAZDA alerón del ala de RX-8. MAZDA PARTE #F151-V4-920F-12. Acentúe su actitud deportivo con este alerón trasero inspirado en carrera y para completar el look deportivo.